The Environmental Protection Agency’s Clean Power Plan is one of the most significant national environmental laws enacted in decades. 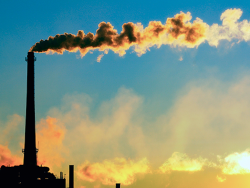 Unveiled last summer by the Obama administration, the CPP will set terms for how the U.S. tackles climate change mitigation broadly, and how communities most impacted by this ecological crisis and the industries causing it are treated. Currently, the Supreme Court is deciding on the future of the CPP, which makes this a critical time to examine the environmental justice issues associated with the plan. This week, The Tishman Environment and Design Center (TEDC) will present visiting scholars’ white papers on the environmental justice implications of the plan through a webinar on Wednesday, July 27 at noon. Learn more about the papers by registering for the webinar. In their papers, the visiting scholars take an in-depth look at specific issues in the CPP that impact environmental justice communities, including air pollution, carbon trading, challenges related to clean energy opportunities, incentives for dirty energy, and the history of the EJ movement’s engagement in climate policies. The scholars include Dr. Nicky Sheats, Dr. Cecilia Martinez, and Dr. Ana Baptista. Learn more about the scholars and their work on The New School’s website.